Lens-scaped: July 30 - Will You Marry Me? 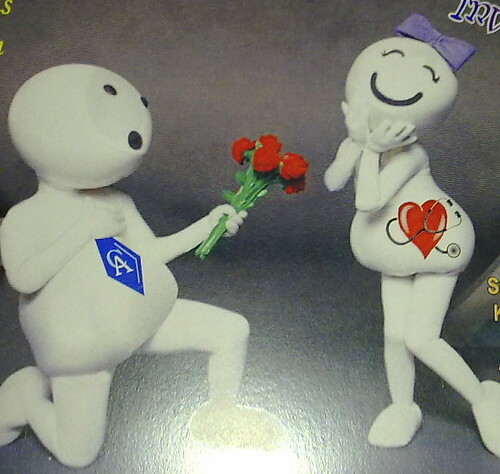 Will You Marry Me?, originally uploaded by amulya. First off - the idea is absolutely copyrighted. He is a CA and she is a doctor. They met, fell in love and the stars just aligned so that the families were a perfect match too. Touch Wood. Now they are getting engaged and I still can't believe it because - 1. she is a really good friend and it seems a little surreal. 2. Him. I've known him almost as long as i've known her and all the history. 3. Her. My best friend from school. getting married. doing the whole adult thing. this is really the advent of adulthood. But then I stop over reacting and there is this big goofy smile still on my face and I realise i actually am really excited and happy for her. She makes me believe again. Almost.